Ready for another fun Christmas card? Well wait no longer! 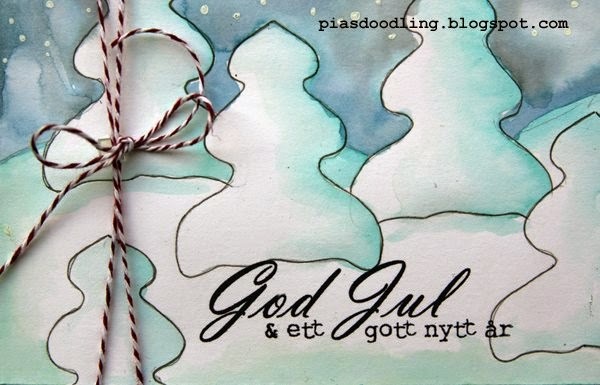 DT member Pia Astrand has a fun card for us today. Without further ado, I'll let Pia give you all the details of this beauty. This is a Christmas card that is 4.5in X 9 in. 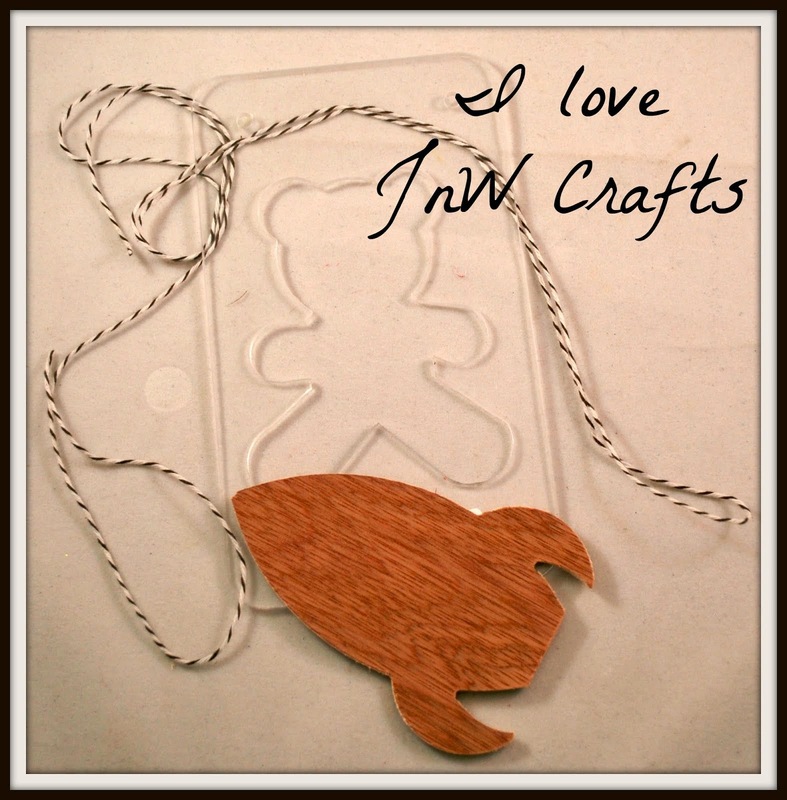 I´ve used the tree and ornament template. I´ve used distress inks and matted the finished "art" with white cardstock on a craft card base. 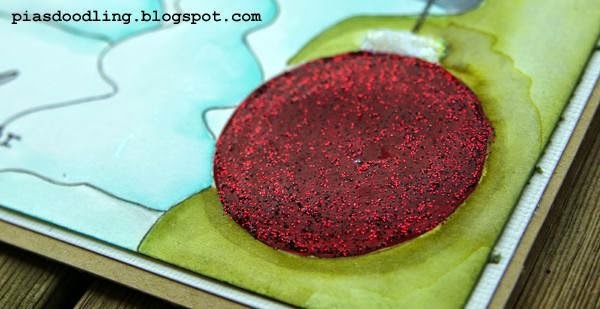 The ornament was colored with red burgundy acrylic paint and coated with red Stickles. 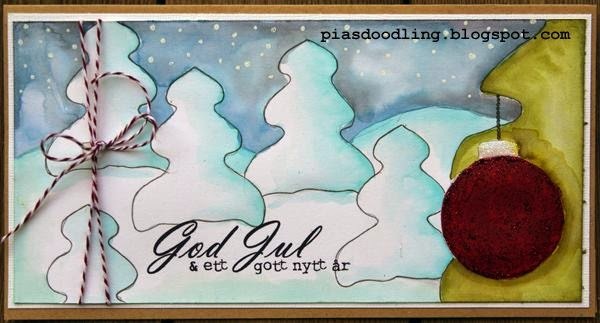 The sentiment is Merry Christmas and a happy new year in Swedish.